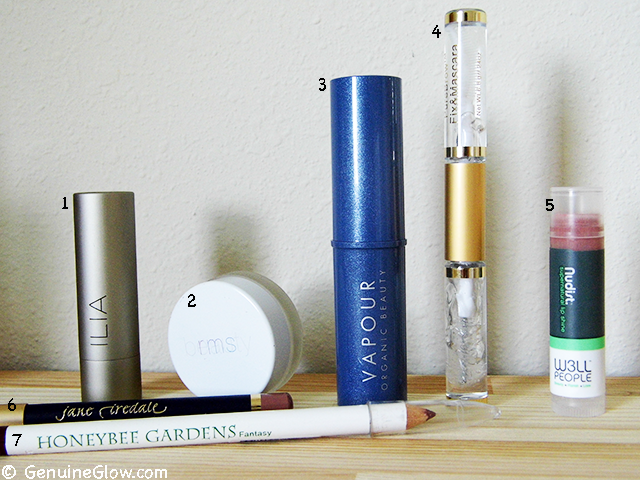 Thanks to Brianna for having such this nice idea of collaborating with other #greenbbloggers! This is going to be a list of products that I would repurchase. 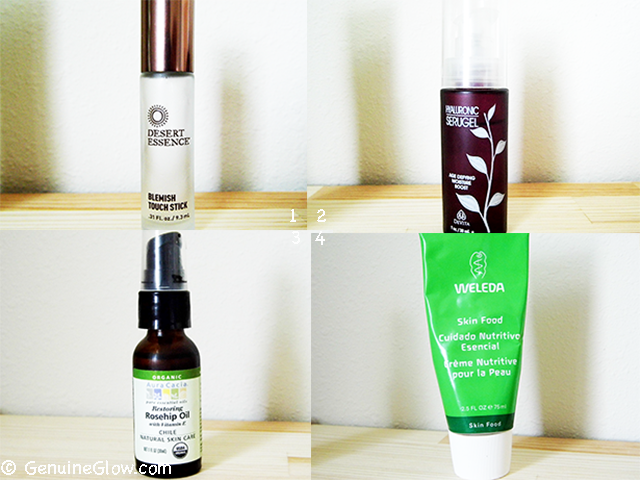 There are quite a few products that I have enjoyed since I started my "green beauty" journey, but these are the ones that I would/will repurchase once they are done. Actually, some of them have already been repurchased! This tiny roll-on stick has been working wonders! It contains several essential oils that are perfect for soothing and healing blemishes. I am going to publish a full review of it very soon, as I think that this product might be beneficial to many. I read that hyaluronic acid was called "fountain of youth", so I definitely wanted to check it out. I was actually trying to find an alternative to the famous Hydraluron that everybody is raving about, and picked this one. It simply creates that extra layer of moisture that plumps the skin, and makes it look fresh and radiant. When I wrote my first review about Rosehip Oil, I did not know how much it was really working for my skin. I gained a better understanding of that when I began to re-use it, after a few months that I had given up my entire skincare routine. **Note: I went through a few months of mysterious breakouts, which I believe were caused by excessive exfoliating and testing of too many products at the same time** This is the best oil I have tried on my face. Best for: smoothing fine lines, plumping skin, and nourishing the skin with vitamins and fatty acids. Throughout this past winter, my hands were dry and chapped. It was so awful. Then I read Mary's review of this cream, and I was hooked! This is, hands down, the best you can use on dry, chapped skin in need of intense repair. On to my makeup products I would repurchase, most of them will not surprise you, since I have already talked about them before. I was in love with their Tinted Lip Conditioners, (and still I am), but I am even more in love with their lipsticks. I can't say enough good things about their lip products. Even though matte skin is about to come back and they recommend storing your highlighter for the next time they are in trend, I would repurchase my living luminizer right away. No matter the trend, I want fresh, young looking skin. This is my favourite blush of all time. It looks so natural and it has the perfect consistency to blend into the skin. How could I do my makeup without it? This is a great clear mascara to keep brows in place and a great mascara as well. I will definitely review it and give you more detailed information about it, because it was one of the best additions to my "green" makeup collection. I think that they actually changed the name of this one to "ColorBalm". Anyway, great sheer lip color. More like a Tinted Lip Balm, with a nice texture and delicious, minty (natural) scent. This is such a great lip liner. Not too soft, not too hard, just perfect consistency. I was so impressed with these lip liners! A great inexpensive alternative to the Jane Iredale lip definers. I think that they retail for about five dollars! "Fantasy" is a gorgeous berry color and I have been rocking it throughout the past season for berry/red lips. I would have included many more old and newer favorites, but I think that these are the things that I really like the most. Now that I have accumulated so many new products, I absolutely must blog about them, so stay tuned! What are your favorite products? Let me know in the comments below!